So just over a month until the big sparkly day. How very exciting! After a day spent searching the web for my very own Mr's gifts, I thought it might be a good idea to share some of my finds with you little ones. Whether you are buying for your beau, brother, Papa or friend... here are few delights that I think you they may like. I really love the natural products and it's simple packaging, and secretly really want the candle for myself! My lovely Sebastian has just purchased himself an iPad (naughty just before Christmas) and I really love this felt and tan mix iPad case. It is so masculine and clean cut. He also has a big, wild beard which needs a little extra care, maybe we could tame it with some Beard Tonic and Moustache Wax. Maybe! Immediately sent that shirt link off to my batman obsessed friend... and signed up. 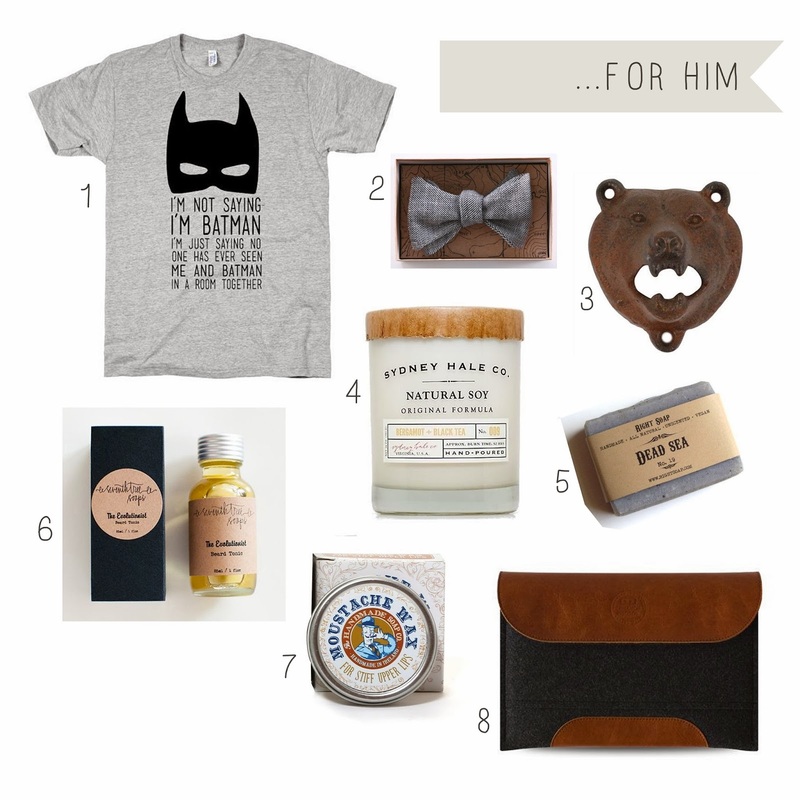 A cool selection, especially liking the bow tie and moustache wax，Piekne masz wlosy :)! wygladasz bosko ;)!